Sofi Tukker released a series of internationally celebrated singles from the album including “Baby, I’m A Queen,” “Batshit” and “Best Friend” featuring NERVO, The Knocks & Alisa Ueno, the latter of which became a Top 20 smash at U.S. pop and alternative, and went #1 at dance radio this year. The Recording Academy will present the 61st GRAMMY Awards on Sunday, February 10, 2019, live from the Staples Center in Los Angeles and broadcast the ceremony on CBS at 8 p.m. EST/ 5 p.m. PST. The GRAMMY nomination is the culmination of a breakthrough year for SOFI TUKKER that saw their music chart around the world. Upon its release on April 13, Treehouse debuted at #1 on the iTunes Dance charts in 26 markets. Album single “Best Friend” went Platinum in Canada and Gold in Russia and Belgium and appeared in the blockbuster film Oceans 8 as well as Apple’s iPhoneX Keynote commercial. The second single off the album, “Batshit,” scored Halpern and Hawley-Weld another licensing deal with Apple for the iPhone 8 RED commercial. Throughout the year, SOFI TUKKER solidified their television presence with performances on “The Tonight Show Starring Jimmy Fallon,” “CONAN,” MTV’s “TRL” and “Last Call with Carson Daly.” In live shows, they both play their unique 6′ tall drum pad instrument called the “book tree” in addition to their other instruments. They kicked off the summer with their first European headline tour, which continued across the U.S. into the winter. Their “Energia (Parte 2)” with Brazilian LGBTQ drag icon Pabllo Vittar amassed over one million YouTube views within one week. 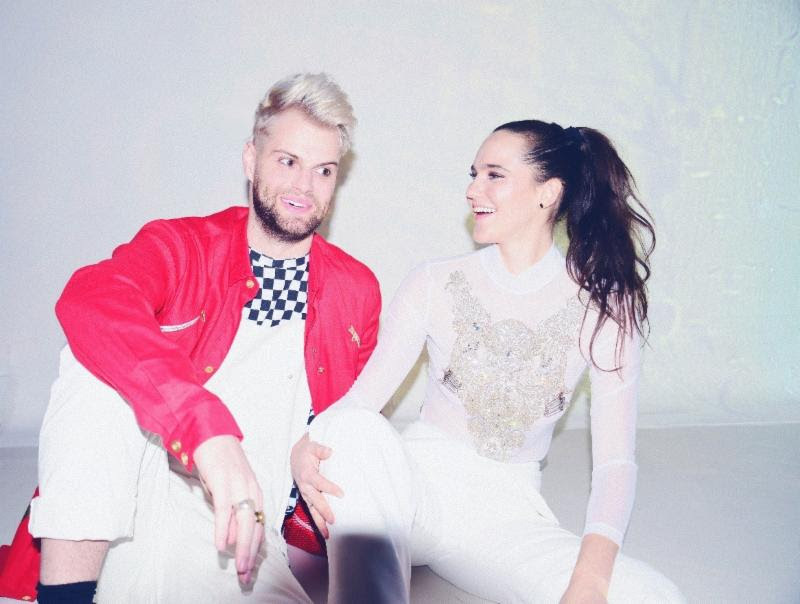 Most recently, SOFI TUKKER released a collaboration with The Knocks with “Brazilian Soul.” The group also launched their own label, Animal Talk, to share their platform and foster their community of artists. The success of Treehouse led to sold-out shows across the world. SOFI TUKKER used the Treehouse World Tour as an opportunity to further their activism. They partnered with PLUS1 to donate one dollar of every ticket sold to The Trevor Project, who work to provide crisis intervention and suicide prevention to LGBTQ youth. The duo also partnered with The Ally Coalition to give their audience a chance to learn about local efforts serving the LGBTQ community at each concert and Headcount to register voters in the States. They previously worked with PLUS1 during their spring U.S. dates and donated over $20,000 to Planned Parenthood. Lastly, for more EDM News and everything Electronic Dance Music check out OneEDM.